Snail extract in cosmetics had been used for a couple of years now. It has been used way back during the time of ancient Greece. According to sources, Hippocrates, the famed physician, prescribed crushed snails combined with sour milk to help with inflammation issues. 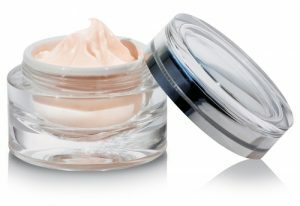 The rediscovery of snail creams happened when it was discovered that Chilean snail farmers had visibly smoother skin. It was assumed that it was caused by the slime that came off snails. According to the scientists who have tested snail extracts, the snail mucin is rich in nutrients that are commonly used in beauty products. These nutrients include antimicrobial and copper peptides, proteoglycans, hyaluronic acid, and glycoprotein enzymes. Thanks to all these nutrients, snail extracts in cosmetics have been recognised as a safe and official ingredient. There are people who hesitate using products with snail extracts simply because – it is slime! However, if you see the beauty products that contain this ingredient, you will not notice anything new. It is not slimy nor is it greasy. This is probably why more and more people are starting to accept this ingredient in their beauty product. Now, it is not just used in beauty products. It is also being used in facials – at last, in some parts of the world like Japan and Thailand. This is a bit on the extreme and will probably make people cringe. The facial involves having live snails crawl all over your face. It is said that the facial is effective – but quite unconventional. There are several benefits to using snail extract in cosmetics. If you have dry skin, snail mucin can moisturize it. This can help restore the hydration that was lost in your skin during the day. It also helps stimulate the production of both collagen and elastin in your skin. This makes it a great anti-aging ingredient that can help make your skin more firm and supple. This will help you get rid of wrinkles and even stretch marks. If you have age spots and freckles, you can also rely on this ingredient to make your skin appear clearer. Snail extracts can also repair the damage to your skin. That means if you have acne or rosacea, applying beauty products with snail extracts can soothe your skin. It can help heal the scars and blemishes that your skin suffered from common skin issues. Not only that, it strengthens your skin so it is protected from the harmful effects of the Sun. As you can see, snail extract in cosmetics can be a great way to improve your skin condition. If you think that you are adventurous enough, you might want to consider using products that use this as an ingredient.